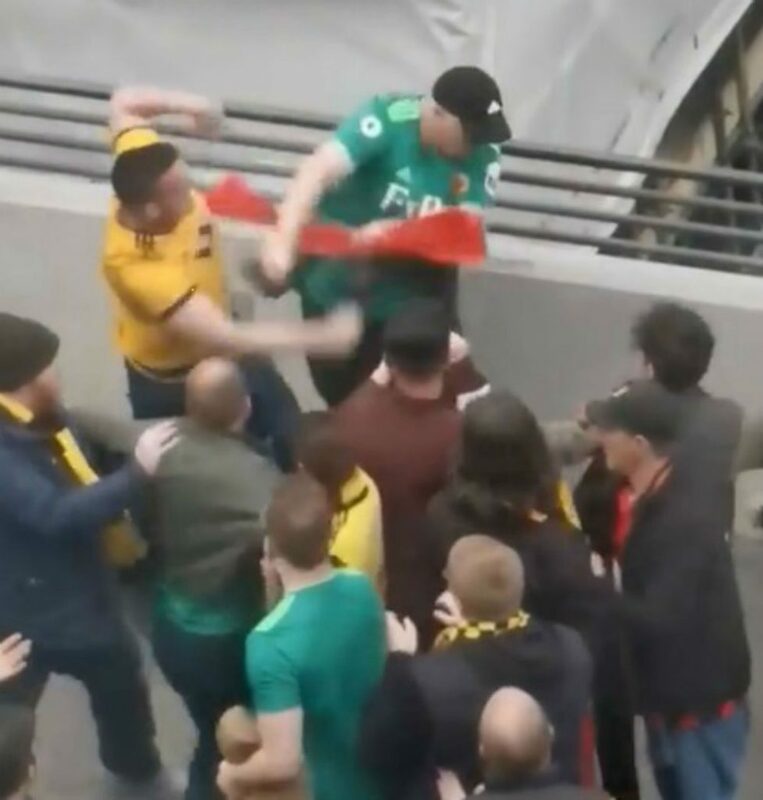 SHOCKING video shows a “Wolves fan” deliberately attack two child supporters of rivals Watford following Sunday’s FA cup clash. The man, who is wearing a Wolves top, pushes the first youngster in the throat and then punches the second in the face. 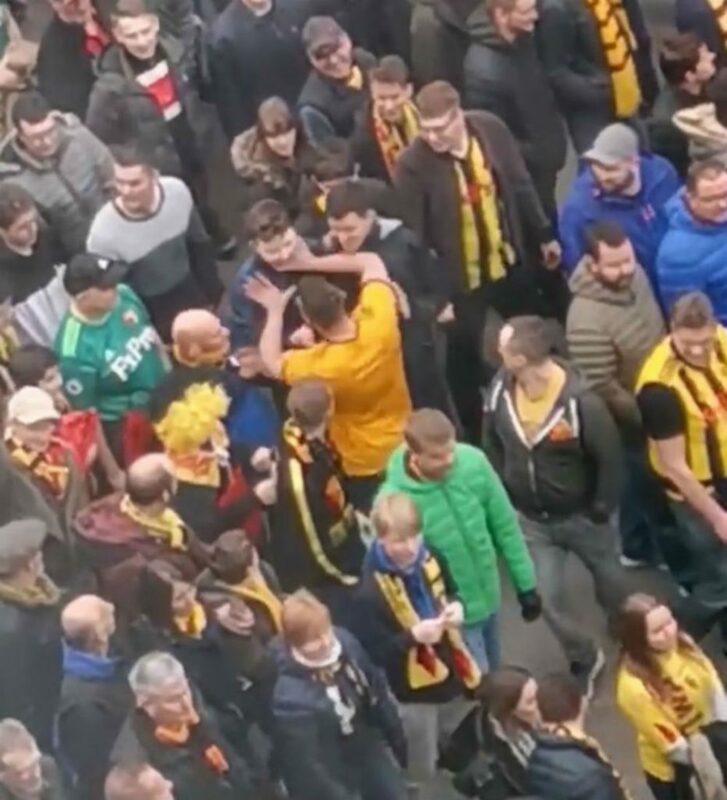 The attacker is then surrounded by furious Watford supporters who pull him to the ground where he is punched and kicked before being rescued. The video was captured by lorry driver Lee Kennedy who had spotted the Wolves fan acting suspiciously, and looking for trouble. 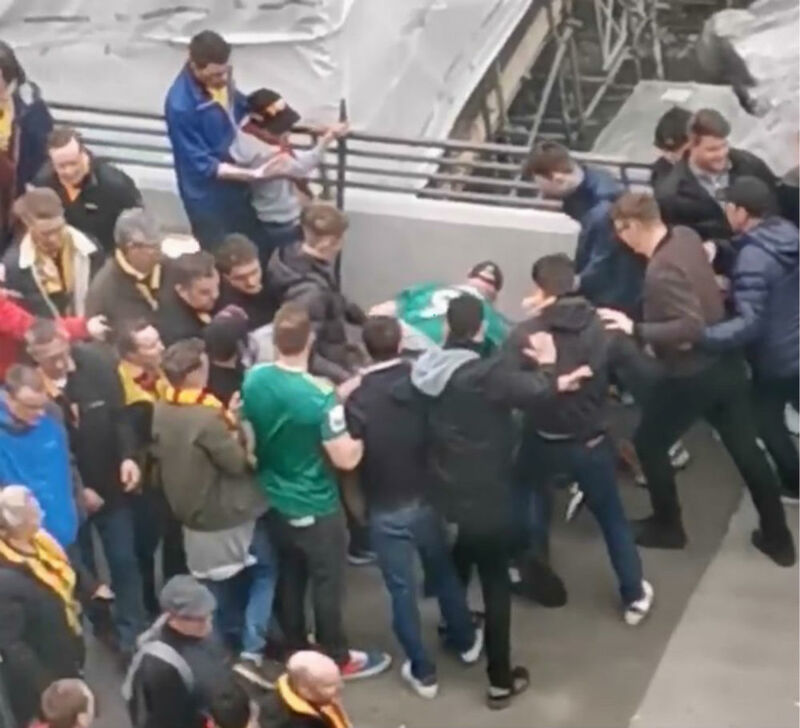 The incident happened after the FA Cup semi-final clash between Wolverhampton Wanderers and Watford which saw the Midlands robbed in the last few minutes of what seemed a certain place in the final. The Wolves fan identifies his targets and starts walking towards them before suddenly pushing a young Watford fan in the throat and then punching another in the face. The Wolves fan begins lashing out at any Watford fan nearby and hits a fan in a green Watford shirt. 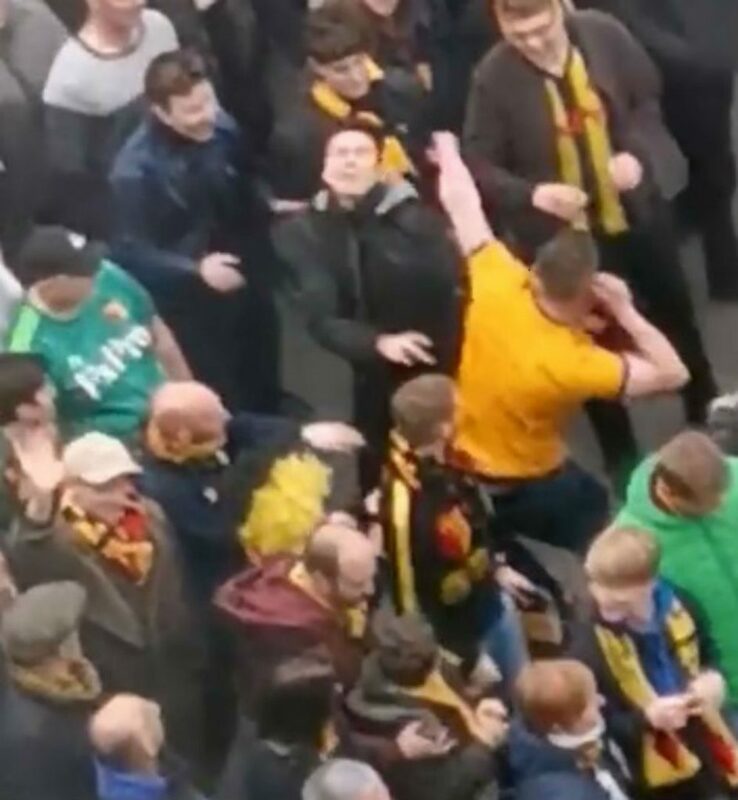 However, the Wolves supporter is soon outnumbered by the provoked Watford fans and he is then pounced upon by many as he falls to the ground. The Wolves fan is then ushered away from the melee from another supporter trying to calm him down. The video has warranted many commenters to mock the Wolves fan. Others found the incident disgraceful. Lee from Grimsby today said that he didn’t know why he started attacking the kids. Lee said: “No idea. Would have to guess too much booze and disappointed with the result of the game. “We could see he was looking for trouble as he had already tried winding some other fans up which is why I started filming. I wasn’t really shocked as you see this sort of thing all the time.